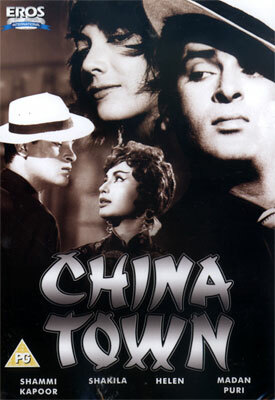 Shakti Samanta is responsible for many of my favourite Hindi films, and China Town is another one to add to the list. 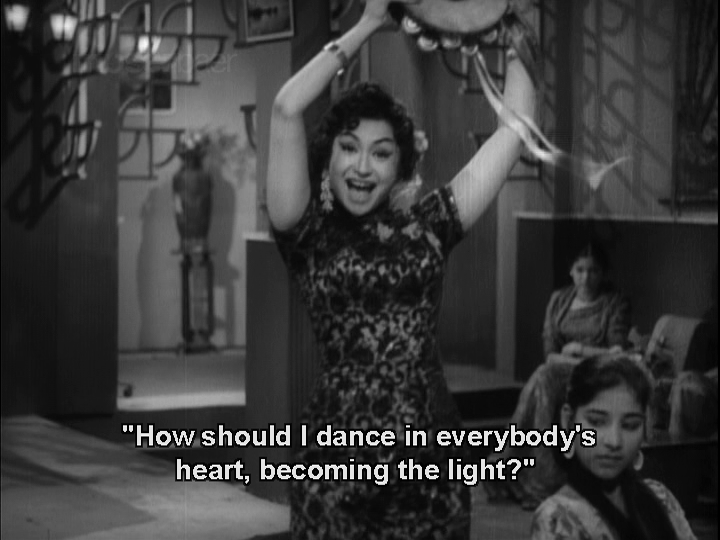 Not only does it have Shammi Kapoor in a double role, but as an added bonus Helen appears as one of the two heroines, and she dances in two songs – awesome! Shakti Samanta heads to Calcutta and the seedy opium dens of Chinatown to deliver a crime drama with plenty of masala seasoning. It’s the story of a gangster whose buffoonish lookalike becomes involved in a police plot to uncover the shadowy figure behind the Chinatown drug trade. If that sounds familiar, Salim-Javed were supposedly inspired by China Town when they came up with the plot for Don and the set-up is certainly very similar. However there are fewer twists and a lower body count in China Town, and the end is quite different. 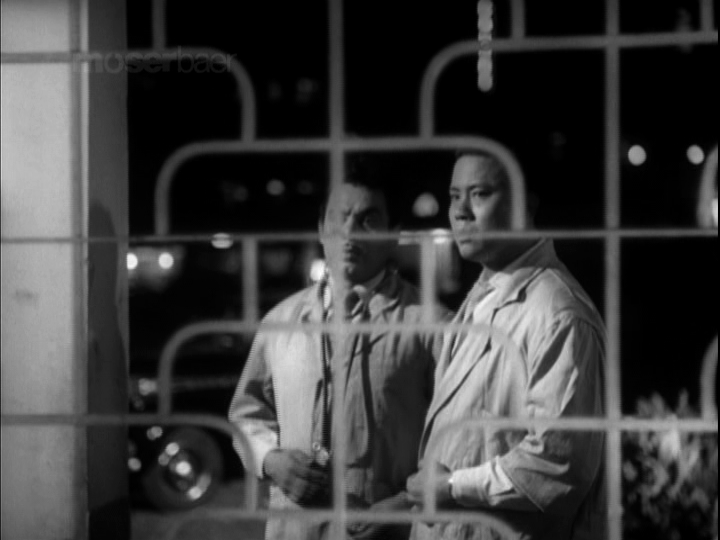 This has fewer noir elements than Samanta’s earlier Howrah Bridge but it does edge into the genre, and even though the outcome is fairly predictable, the journey to get there is well worth taking. The film opens with the title track and features Helen in a wonderful dress covered with dragons. 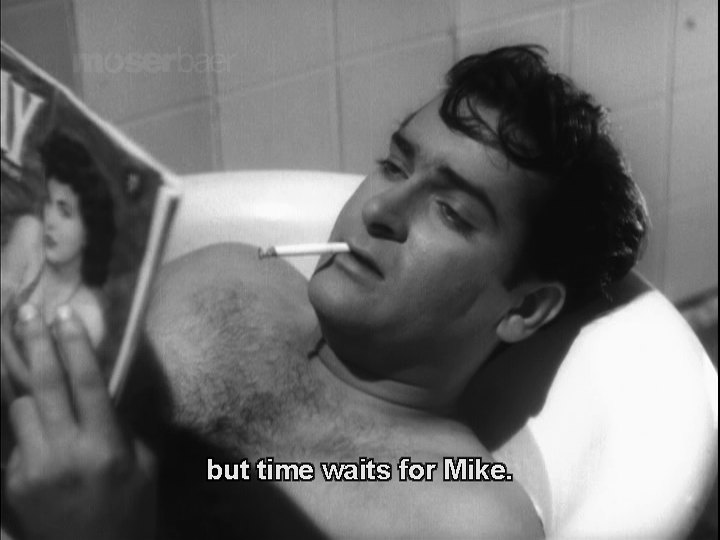 Chinatown gangster Mike (Shammi Kapoor) is introduced in the bath (!) and has a wonderful laconic style as he explains that the world will order itself to accommodate Mike, not the other way around. With such ishtyle, it’s not really surprising then that dancer Suzi (Helen) is in love with Mike, despite the callous treatment she receives at his hands. Mike works for Mr Wong (Madan Puri), the owner of a hotel in Chinatown that acts as the front for a number of criminal activities, but chiefly the gang run an opium den and deal in drugs. 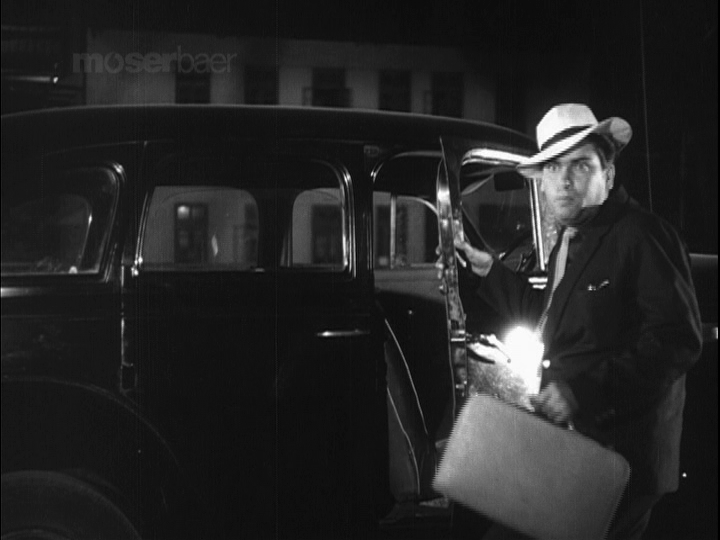 Mike is spotted making his dodgy deals by the indomitable Inspector Dutta (Kanu Roy) and in the course of the ensuing car chase Mike is hurt and brought back to the police station by Inspector Dutta. However Mike proves to be a tough nut to crack and none of Inspector Dutta’s interrogation techniques manage to force him to reveal the other members of the gang, or who is controlling their activities. Fortuitously for Inspector Dutta, Rai Bahadur Digamberprasad Rai (S.N. Bannerjee) comes to the police station to make a complaint about bar singer Shekhar (Shammi Kapoor) who has followed his daughter Rita (Shakila) to Calcutta. Shekhar just happens to be the spitting image of Mike, and Inspector Dutta sees a way to infiltrate the gang, if he can get Shekhar to impersonate Mike. Shekhar is the antitheses of Mike. He lives with his mother (Jeevan Kala) in Calcutta and spends his time singing, chasing after Rita and avoiding her father who is less than impressed with Shekhar. 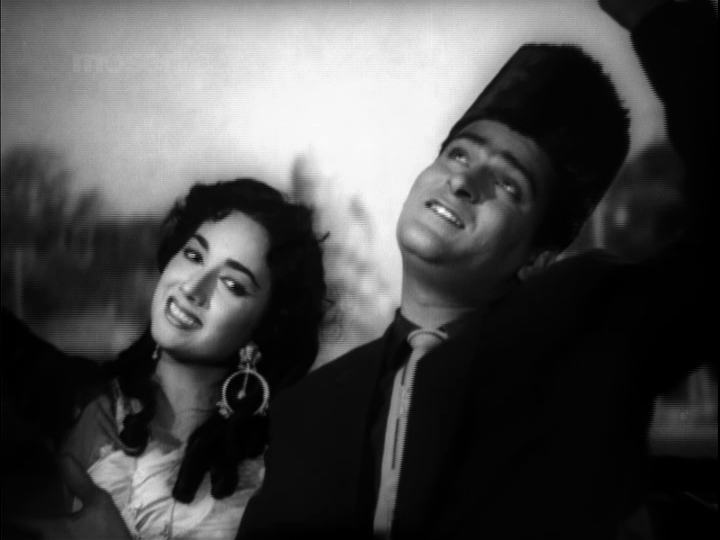 Shekhar is carefree and careless, and Shammi is excellent as the crazy and impulsive singer who will do anything for love. Here he is serenading Rita, who doesn’t seem too impressed by his moves here at all! 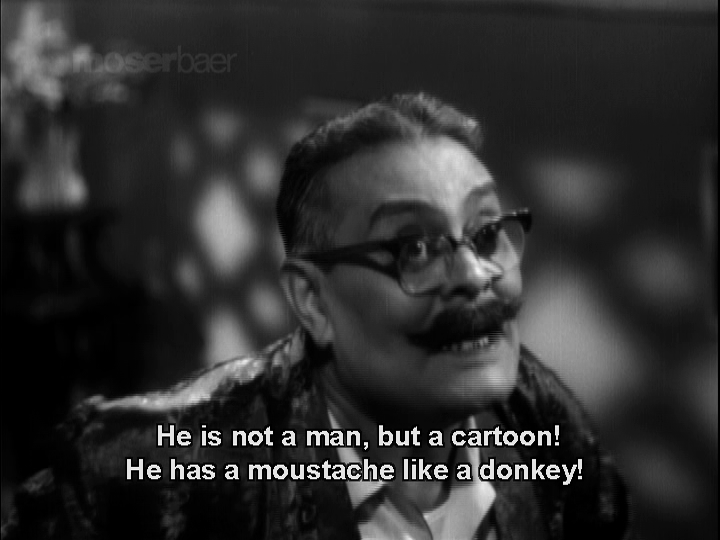 Rai Bahadur on the other hand will do almost anything to keep Shekar away from his daughter, and when you consider Shekar’s antics as he dresses up as a Sadhu to follow Rita on the journey to Calcutta it’s hard to disagree when Rai Bahadur calls him a cartoon. Despite his somewhat frivolous nature, Shekhar allows himself to be persuaded to work for the police, and undergoes extensive training to impersonate Mike. He successfully infiltrates the gang and starts to pass information back to Inspector Dutta, but before he can find out who’s the boss behind the scenes, Shekhar’s mother arrives in town. 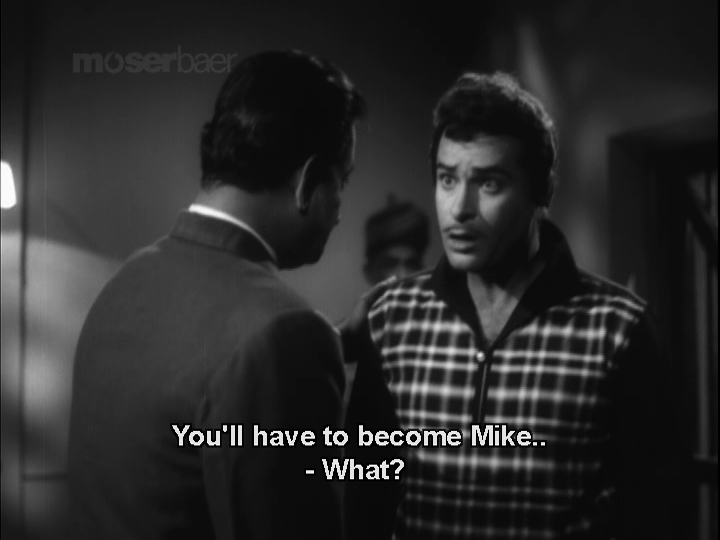 She soon reveals that it’s not a coincidence that Shekhar looks like Mike, and soon my favourite Bollywood plot device of separated twins gets thrown into the mix. So now all Shekhar has to do is stop Rita from marrying Mr Chaudhary, convince Rai Bahadur that he is a suitable person to marry his daughter, find the head of the drug smuggling gang and save his long lost brother – no worries! Although Shekhar fools the gang, he can’t hide his musical soul and when out delivering drugs he dances and sings along to this wonderful mujra. 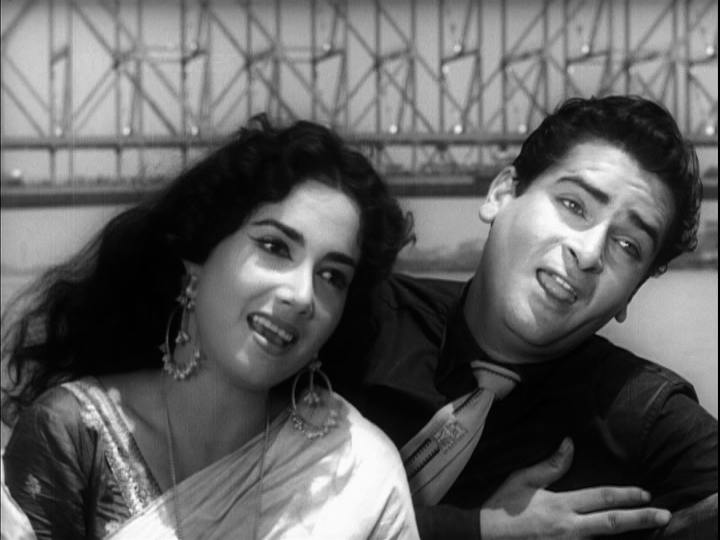 I love the way Shammi can’t sit still and gyrates away in the background before finally joining in with Roshan Ara. Along with the action, as Shekhar fools Mr Wong and one by one delivers the gang members up to the police, naturally there is time for some romance. Rai Bahadur seems a very liberal father, except where Shekhar is concerned and Rita manages to meet up with Shekhar and hit the tourist spots of Calcutta. They make a lovely couple, and Shakila looks beautiful here in a couple of sweet duets. 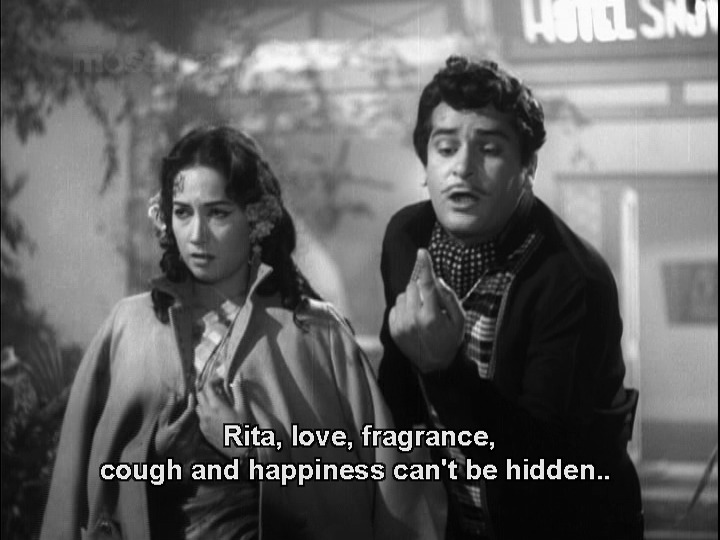 The romance is rather cute too – as in one scene where Shekhar and Rita take refuge in a hotel and pretend to be married. The owner’s wife Mahakali (a brief appearance by Tun Tun) adds a vermillion tikka which Rita then doesn’t want Shekhar to rub off later despite all her protests about the deception. Very sweet! Rita is also feisty and quite prepared to fight back when she is kidnapped by the gang, which makes her a likeable heroine and more of a partner to Shekhar. Suzi is quite prepared to fight for her man too, and Helen is fantastic in a role that gives her the opportunity to do more than dance. However she also looks stunningly gorgeous in this song where she dances with an intoxicated Shekhar. 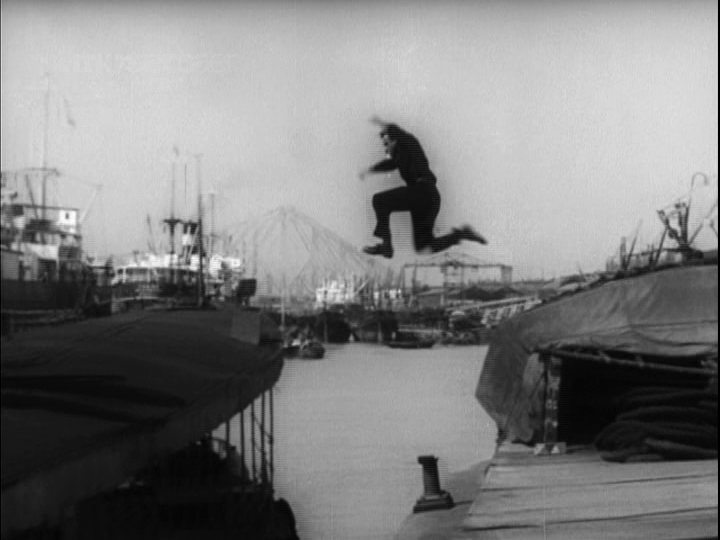 The location allows Samanta to use the Calcutta backdrop and Howrah Bridge to good effect, particularly in the last fight scene. Dwarka Divecha does an excellent job with the cinematography and as in previous Samanta films there is good use of light and shade to heighten the drama. The Blue Dragon hotel has plenty of hidden doorways behind fake walls and bookcases, and there is even an escape route through the sewers to add to the ambiance. The support cast all fit their roles well; Madan Puri reprises the role of a Chinese hotel owner while M.B. 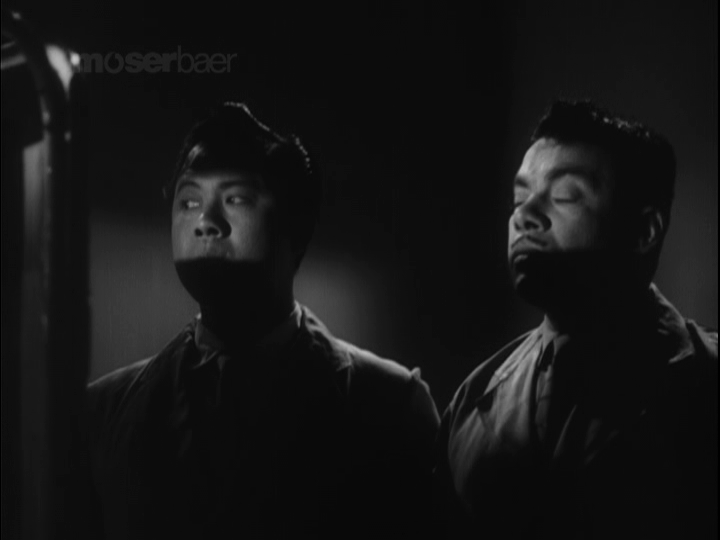 Shetty is expressive as Ching Lee, one of the gang who suspects Shekhar is not really Mike. 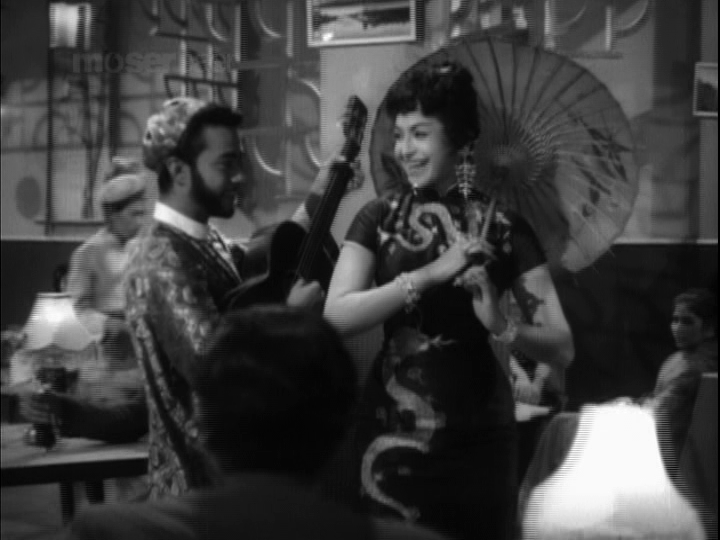 But despite good performances from all the cast, China Town is all about Shammi Kapoor, and his performance here is the reason to watch the film. 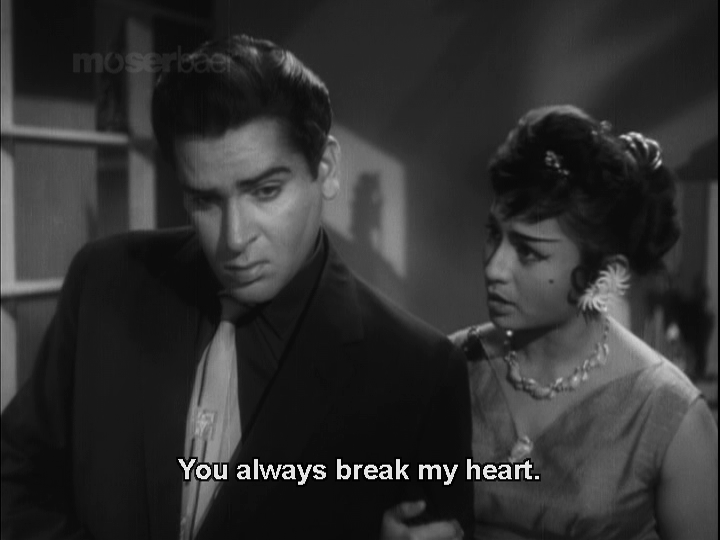 I just adore Shammi in this film. He looks fabulous and seems to relish the contrast between his two roles, keeping the two personalities quite separate throughout. Shammi even looks very different as Mike and he plays the part of a brutish and rough gangster easily without hamming it up for the camera. 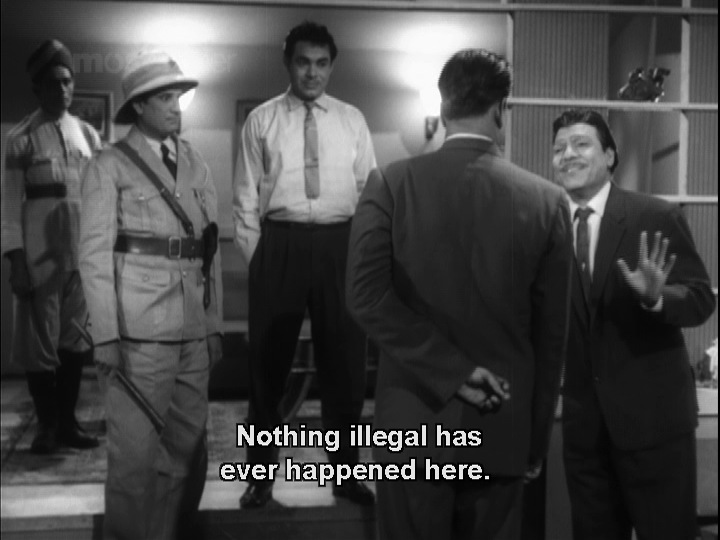 As Shekhar he is buffoonish but good-natured, and although he does become more sensible when working for the police, he manages to make this seem like an act and every so often reverts back to true form with some classic Shammi craziness. 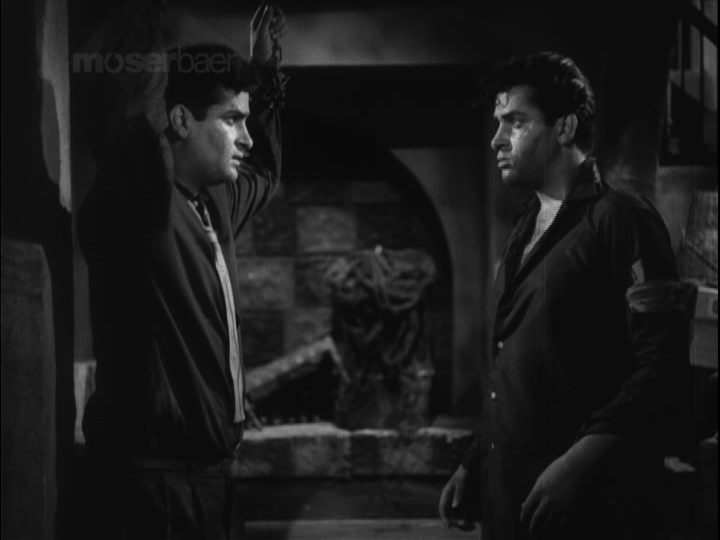 When there are two Shammi’s onscreen it’s just wonderful, even if the technology isn’t quite able to make the effect completely seamless. 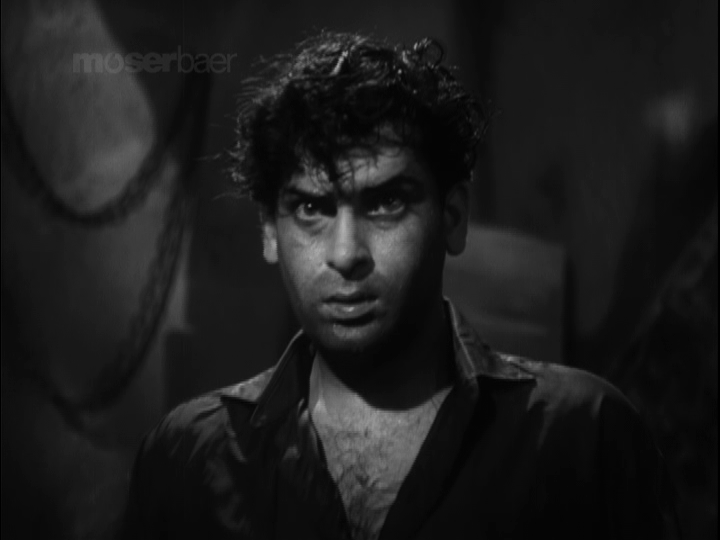 Shammi is wonderful to watch, so even if the story does become a little predictable and the ending is annoyingly contrived, it really doesn’t matter when Shammi is this good – twice over! Recommended for Helen, Shakila, good songs and shady ambiance, but overall watch this for Shammi – he’s amazing! 4 stars from me – and I’ll give the last word to Helen, because I think this is exactly what she does. This entry was posted in Bollywood and tagged Chinatown, Dwarka Divecha, Helen, Hindi, Jeevan Kala, Kanu Roy, Keshav, Keshto Mukherjee, M.B. 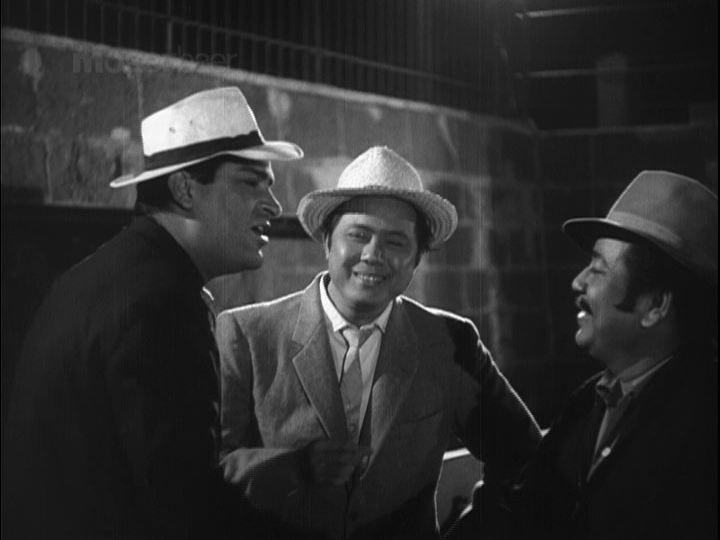 Shetty, Madan Puri, Ravi, S.N. 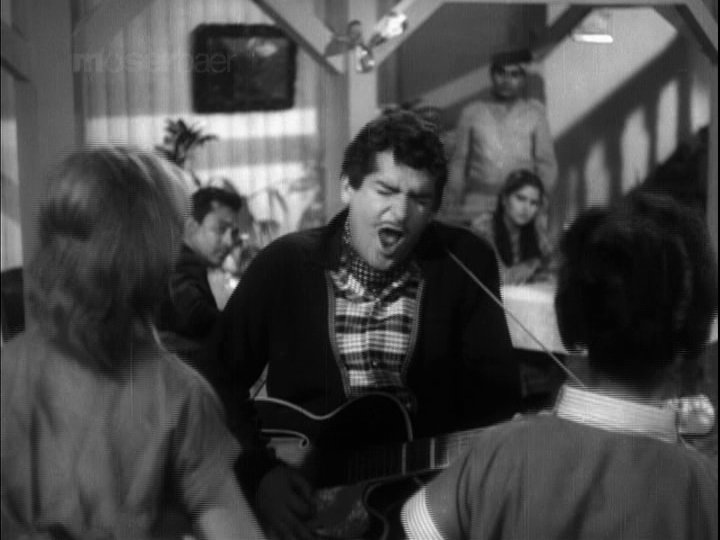 Banerjee, Shakila, Shakti Samanta, Shammi Kapoor, Tun Tun. Bookmark the permalink. Sigh. Swoon. Lust! Shammi was to die for in this film. And yes, it was great to see Helen not only *not* die in the end, but also get her man, dancer or not. 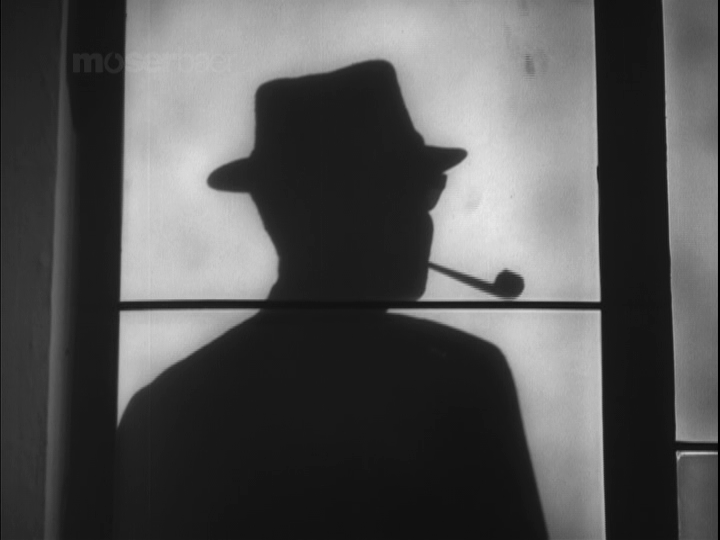 A noir film after my own heart. Exactly – very gorgeous indeed! And the fact that Helen gets her man (after a few years of jail anyway) and the mom doesn’t die horribly either are both major plus points 🙂 I just find the identify of the Mr Big a little contrived, but otherwise it’s a pretty good deal. I love this era of films and there are so many to watch too – this has inspired me to watch and rematch a heap more!